This is a realtime simulation. 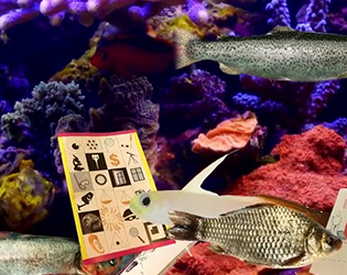 The fishes will read different art books depending on what they feel like reading. I made this for a realease party I am having with my colleagues where we are selling the art books that the fish are reading. It's great to have in the background at parties or as a screensaver.